We already knew that Target retail stores would be selling the iPad at some point throughout October, and we now know today is the day. Target stores across the US are now selling all models and variations of the magical device, as well iPad accessories through their online store. The company is selling the device for the same list price as Apple’s online store. However, there is a promotion slated for later this month that will allow you to get 5% off if you are a Target credit card holder. 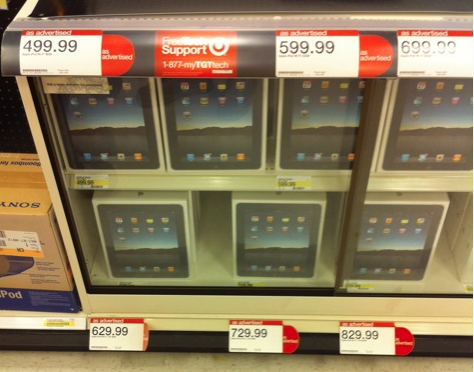 If us simply telling you isn’t proof enough, you can check out the shot below showing iPads already on the shelf of a San Antone Target retail location.